At the present time regulation in new built is limited to the important checks for compliance introduced by the various System Designers and unlike retrofit Cavity Wall there is little in the way of property suitability assessment at the point of install and installation surveillance. The purpose of the CIGA new build guarantee is to introduce a level of independent assessment and ongoing surveillance providing member installers with a unique product that will help assure house builders that work has been carried out on an appropriately prepared property to the appropriate standard, without which a guarantee will not be available. It is clear that this proactive approach will negate the need for thermo graphic imaging, which if done incorrectly will produce inaccurate results. By being a CIGA member you will have immediate access enabling you to apply for New Build Guarantees. 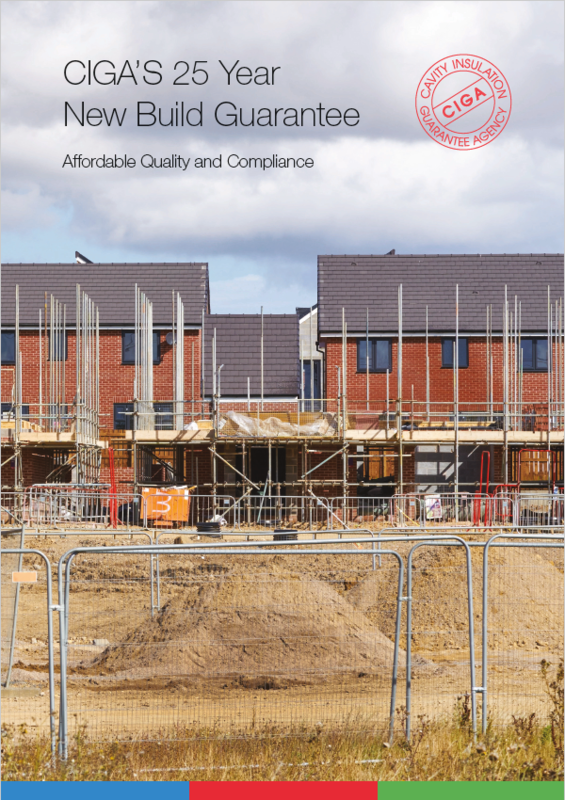 The New Build Guarantee will not only give the housebuilder assurance that the work has been carried out correctly but will also give confidence to the householder in that they have either a 10 or 25 year protection as an additional advantage when selling a property. The guarantee will be for a period of 10 or 25 years from the day of installation. This will include surveillance of assessment requirements charged separately at £10 of the cost. Download CIGA’s New Build Pamphlet here.